We've made it halfway through the week, and some weeks that just deserves a celebration. The poptail Cocktail Confession has made it's way around once already, but we just can't seem to quit it. 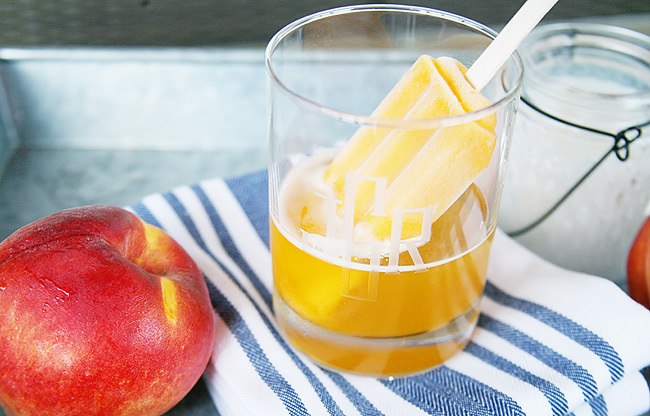 - Add peach popsicle. Let settle and melt for a minute or two. It's still warm enough here in the Deep South to enjoy a little poptail here and there. Trust us - this one has just enough "bite" to warm you up straight through the Winter!